I used to always post on my nails, until recently when my nails have just become the least of my priority. Which means, similar to the makeup of the moment posts, I will also be sharing what I have been loving on my nails. 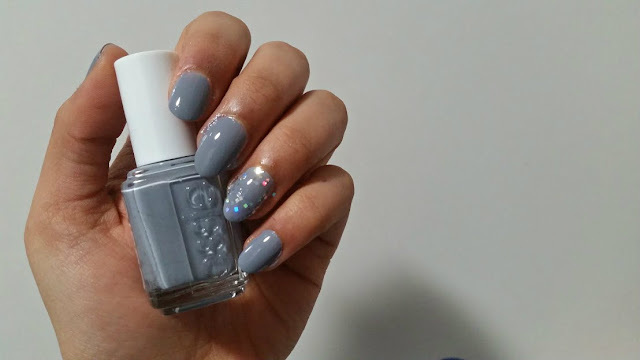 The nail polish that I have been loving lately is Essie Cocktail Bling. Its a funny colour to describe because of the hues underneath it, its looks like a grey colour but in the light it has a very lilac colour to it. It is however, very cool toned and perfect for this in between spring/winter weather we are always having in the UK. With just two coats it is completely opaque and is a colour you just want to stare at. What has been on your nails recently?